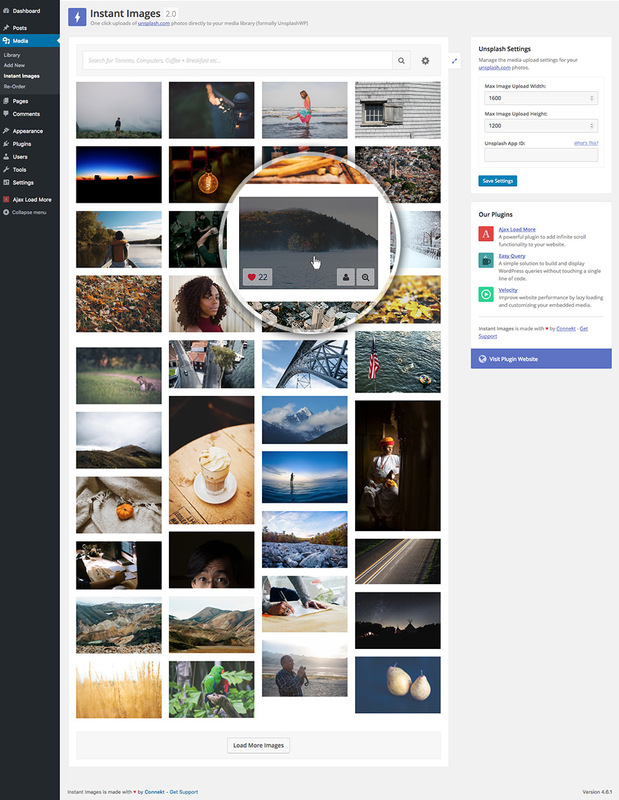 The Instant Images dashboard allows you to quickly browse, search and upload images to your WordPress media library by simply clicking on an image in the listing. 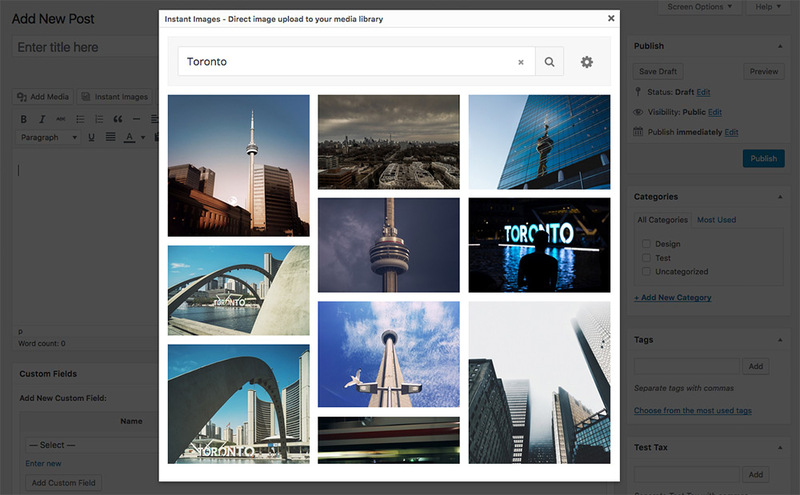 Note: When you upload an image to your media library it will automatically be resized into the custom image sizes specified within your theme. 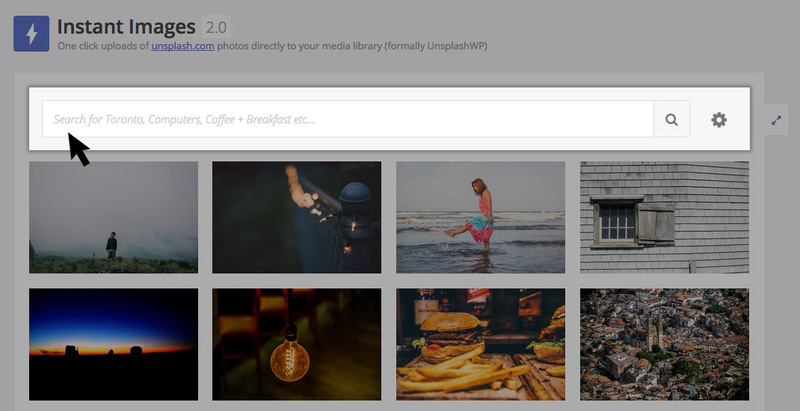 As of Instant Images 3.1, users can search for individual photos by Unsplash ID. You can upload images from while editing a post or page by clicking the Instant Images button located beside the Add Media button in the WordPress WYSIWYG editor.